Golf carts have become popular in lots more places than just the golf course - from camp grounds, to resorts to communities. 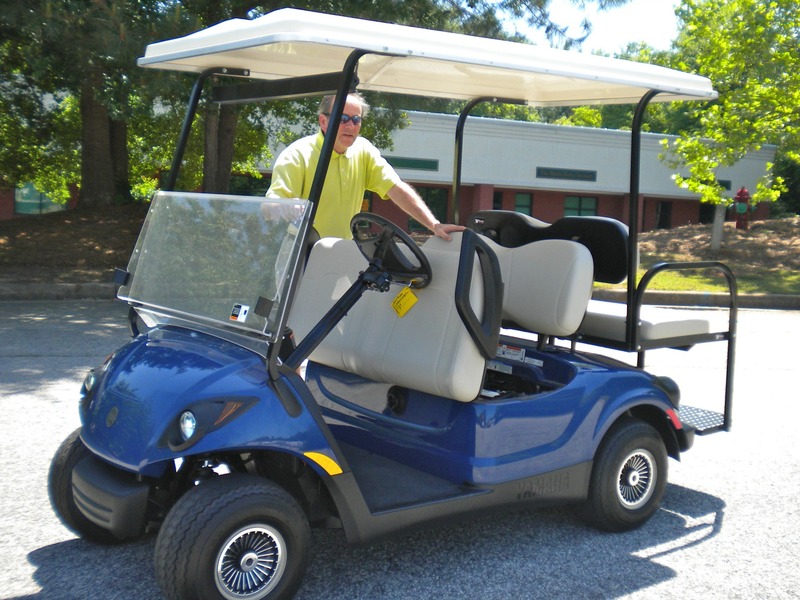 Are you a new golf cart owner with questions about how to keep your golf cart going strong? Maybe you are considering buying a golf cart or upgrading and replacing your existing golf cart? Wondering if you should buy an electric or gas, new or used? Are you the kind of guy/gal who likes to do your own maintenance and repairs and wants to know how much air to put in your tires or what do if your batteries won't charge? 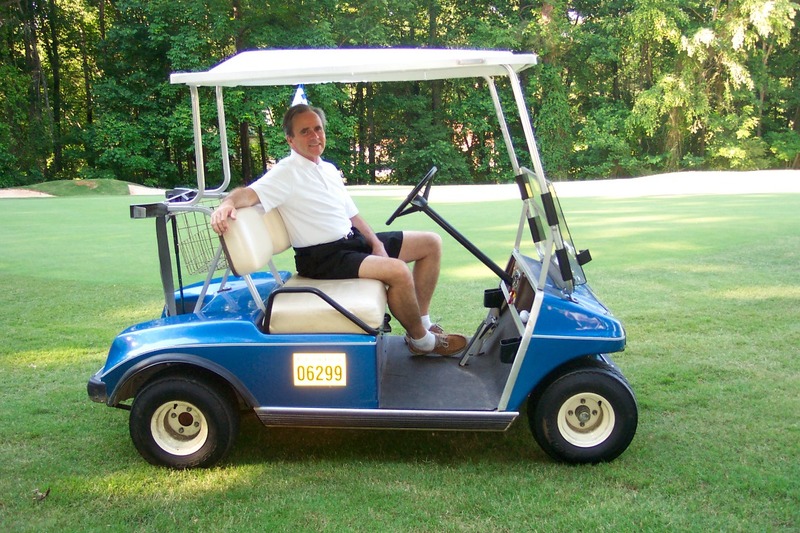 Golf carts are the main mode of transportation where I live in Peachtree City. New people moving in are buying golf carts for the first time, those who are leaving are trying to sell them and for those of us who have been here a long time, replacing or upgrading our existing golf cart is common. Your lead acid batteries are the most expensive investment of your golf cart. To replace them costs several hundred dollars. Many golf cart owners shorten the lifespan of their batteries because of wrong charging practices. 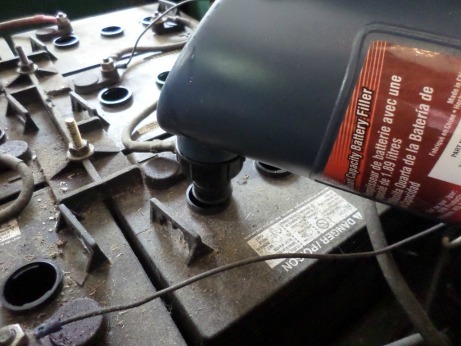 New golf cart owners are often unaware of the importance of checking the water levels in the cells of the batteries. Find out how to check your water levels and when and how often to charge to increase the lifespan of those expensive electric golf cart batteries. This is the fun part of golf cart ownership. 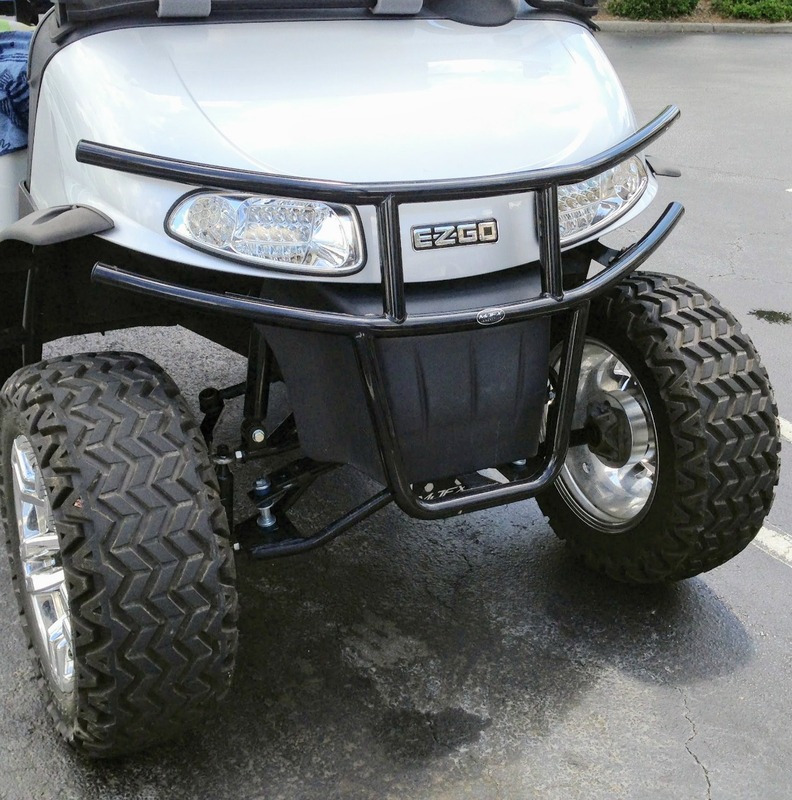 Whether you want to upgrade to fancy new wheels, add a brush guard, or replace your seats, there are golf cart accessories that can make your cart more comfortable and customizable - if that is a word :). Enjoy your favorite music with a radio and speakers or a night time ride with headlights or under body "under glow" lights. Turn your golf cart into one of a kind that speaks your style. 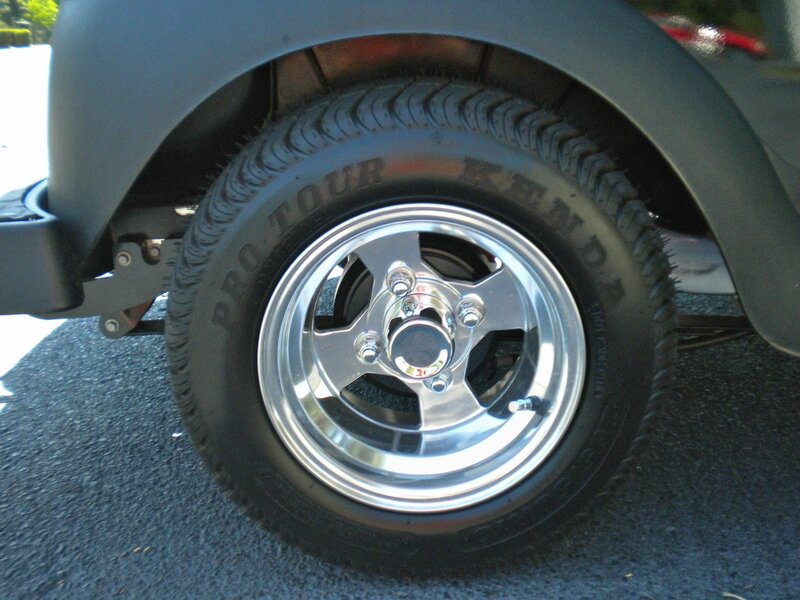 Golf Cart Accessories for a customized and comfortable ride. 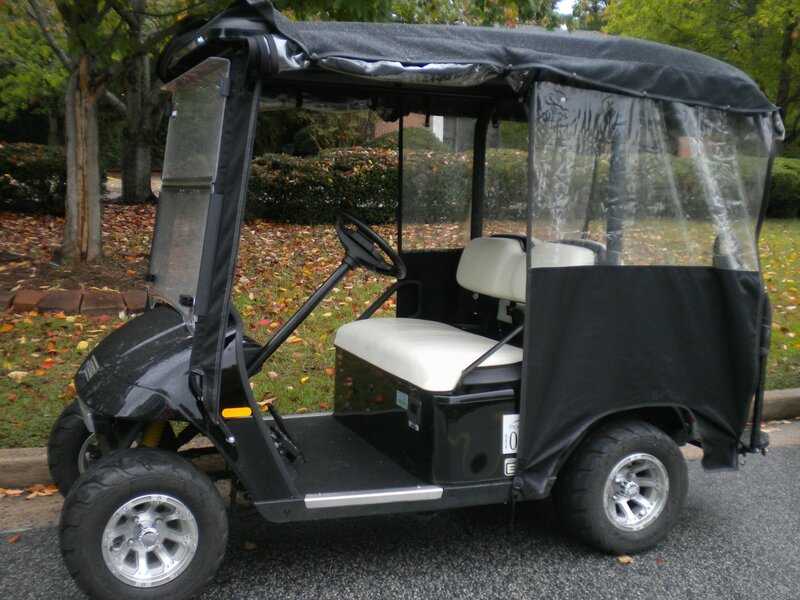 A golf cart enclosure extends the amount of time you can use your golf cart. Whether it's a rainy day or a cold day, you can stay comfortable in your cart with all of the sides down. There are many different styles to choose from - custom over the top enclosures, standard fit enclosures or track style. Other considerations besides fabric color is whether the snap or hook system is easiest to use and what the fabric design is for the back so that your rear lights can be seen. Looking to buy a used golf cart or wanting to sell the one you have? Wondering if the golf cart your neighbor is selling is a good value? Or perhaps you are wanting to sell your golf cart for top dollar? Here are some good tips on how to determine Used Electric Golf Cart Values. Hi, my name is Bill Degner. I live and play golf in a golf cart community called Peachtree City. With over 100 miles of paths, I can get anywhere by golf car - to grocery stores, library, schools, friends' houses and of course to the golf course. I have maintained my own golf car during these 22 years, replacing batteries, tires, enclosures and parts. From flat tires to batteries not charging, you can get your golf cart going by learning a few simple things. This site can help educate you if you are looking to buy a new or used golf cart or maintain and accessorize the one you have.